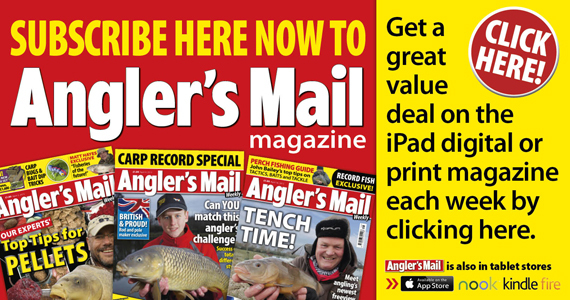 This week’s Angler’s Mail HQ blog is by news editor Thomas Petch. PIKING – FILL YOUR BOOTS NOW! THERE’S never been a better time to catch a big pike – as long as you have a ticket for Chew Valley! The Somerset wonder water has been in sizzling form this season with a 42 for Ray Jones kick starting it, followed by a 39-pounder in this week’s issue of Angler’s Mail magazine to Chris Harris. Blogger Thomas and son Bryn with a cracking 22 lb 3 oz pike. And as I write this, a venue record 43-pounder has fallen – full details in next week’s magazine, out Tuesday, November 12. Sadly Chew is fully booked this season but if you have aspirations to catch a big 20, 30 or even bigger, its the No.1 ticket you should be getting for the following pike season. Pike waters don’t normally last long and Chew has lasted longer than virtually any other water – but it might not last forever. And pike fishing probably isn’t as good as it has been in the past although a big fish can crop up ANYWHERE! That’s the good thing about slinging out a pike rod, you just don’t know if you are going to get a jack or the chance of a real lump. Unlike carp waters where you know what is in front of you 99.99 per cent of the time, piking is different and a big old pike could have suddenly shot through to become a 20 or 30-pounder. But the feedback I’m getting from anglers is that this is getting a bit rarer thanks to the dominance of carp, commercials that have no pike at all, plus ravaging cormorants that have cut off much of the food supply for our apex predator. But there are still good fish to be caught, especially if you keep your ears to the ground for vital inside info on big fish and you can pick up lots of venue ideas from our Where To Fish section in our magazine every single week. Prebaiting can work really well to concentrate bigger pike into your chosen area. Always check for offers at the fish counter at your local supermarket! Always use strong tackle as pike can really pull a lot. A minimum of 15 lb main line combined with 28 lb wire traces are a must and use rods of at least 2.5 lb test curve, if not heavier. I like to use a single treble hook to aid easy unhooking and strike as soon as I get a run to avoid deep hooking. Because I like to strike immediately, I like to use small baits even for big fish and don’t mind using 2 oz roach or small sections of deadbaits. Many pikers don’t bother with feeding for small fish but I like to put out maggots and groundbait to bring in the silver fish. You can, where allowed, try and catch livebaits as well. 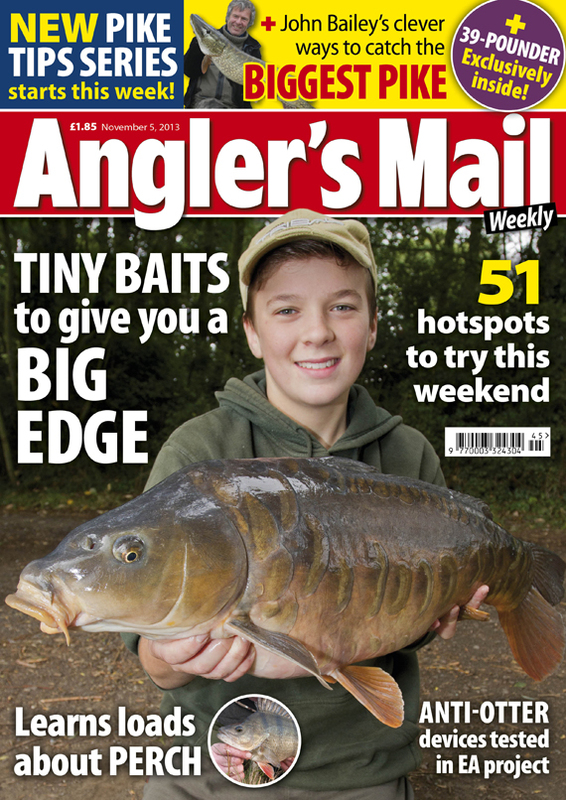 I love this week’s issue of the magazine as we have both catches from youngsters – check out our 10 lb 8 oz tench and 29 lb koi to a seven-year-old on page three plus a great Action Replay – and old ‘uns with 56 lb 4 oz common carp to a 77-year-old! We report in this issue of respected big fish angler Steve Stringer going missing on the bank. We’ve found out he did pass away, sadly. Condolences to his family. Bob Roberts and Stu Walker – Caught In The Act Part 3 and 4. Find out full details on the making of this superb series, and how you can win the DVDs, by reading this week’s Angler’s Mail magazine. THE ANGLER’S MAIL HQ BLOG RETURNS NEXT WEDNESDAY. Visit this website for a new blog every day.